Here is my card for this weeks Magnolia Down Under Challenge. I love this weeks task: use butterflies. I have coloured the stamp Beautiful Tilda. I think she looks like a butterfly. There is one butterfly on the image. I have also made two more with a Martha Stewart punch. 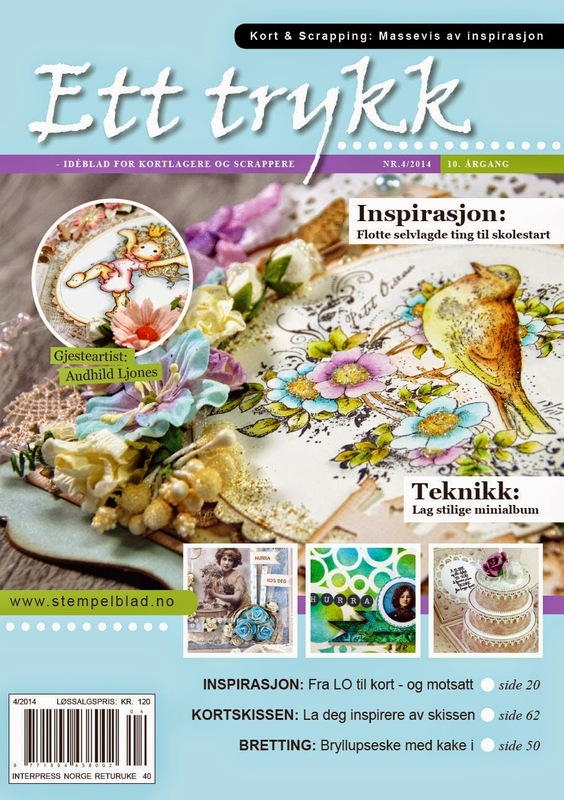 The beautiful flowers I have used comes from the Magnolia shop in Borås. Roses from Wild Orchid Crafts. Here you can see one of the butterflies. I have inked them up with distress ink, walnut stain. Then I added stickles, star dust and a pearl. Heart border and swirls are made with Magnolia Doohickeys. Pattern papers from Melissa Frances. 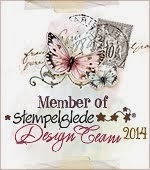 I have also used stamps from Stempelglede and Ladybug and Friends on my card. WOW, WOW....such a mangificent creation! Love everything about this wonderful card! Woooowwww den eine nydelige kortet etter det andre. Nydelige detaljer og farger. Ljuvliga färger och fina papper och dekorationer. WOW this is just BEAUTIFUL!!!! Love the softness and gorgeous details! Ååå så utrolig vakkert og stemningsfullt kort! hi!,I love your writing so so much! percentage we communicate more approximately your post on AOL? I need an expert in this space to solve my problem. May be that is you! Taking a look forward to peer you.